It’s a hot May afternoon and Connaught Place is almost deserted. But KL Mahar and Anjana Mahar, a middle-aged dalit couple, are striding briskly towards Delhi’s famed protest square, near the Jantar Mantar, to get a glimpse of Chandrashekhar Azad. Popularly called Ravan, Chandrashekhar was to address a sea of supporters of the Bhim Army, an organisation for dalit upliftment that came into the limelight after recent clashes between dalits and upper caste Rajputs in Saharanpur, in western Uttar Pradesh. The couple had travelled 150 km from Mathura on the call of the Bhim Army to protest against the Uttar Pradesh police: the cops have booked Chandrashekhar for creating communal disharmony. The clashes began in Shabbirpur village over processions the two communities had planned: when the dalits organised a march on Ambedkar Jayanti, the Rajputs objected and asked if permission had been taken; then, when the Rajputs organised a march on May 5, on the occasion of the birth anniversary of Maharana Pratap, the dalits raised questions. Clashes broke out. 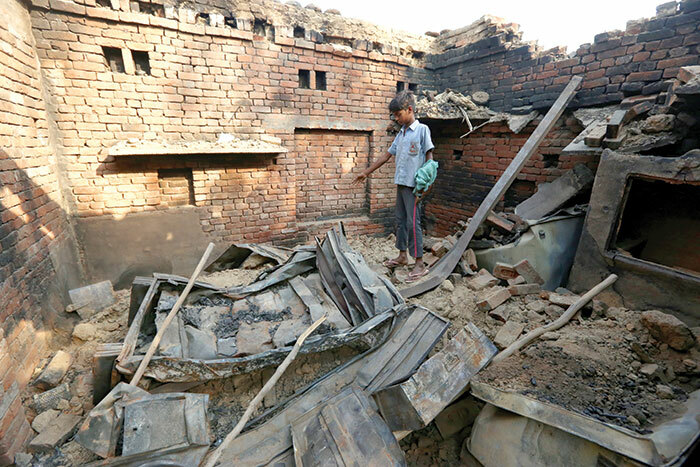 One person was killed, about a score injured, and some 25 dalit homes were set ablaze. Tension continues. In response to the arson, the Bhim Army had organised a mahapanchayat at the Ravidasia Hostel in Saharanpur town to protest police and administrative failure to protect the dalits. But police denied them permission. According to SHO Piyush Dixit of Saharanpur’s Sadar Bazar police station, an FIR has been lodged against Chandrashekhar and five others on the basis of an audio clip purported to be released by him, calling for the protest meet. 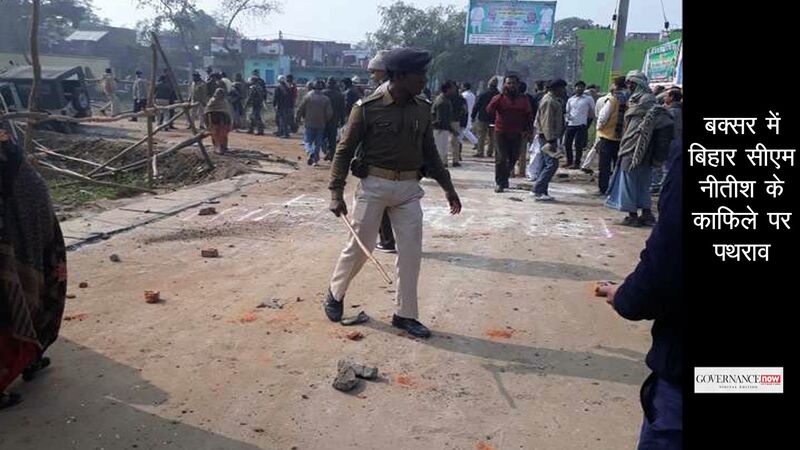 When permission for the meeting was denied, dalits of the district and members of the Bhim Army went on the rampage, blocking highway traffic for hours. 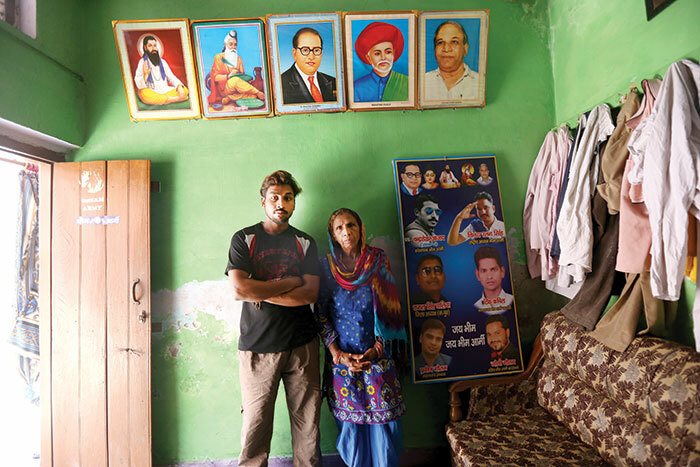 BJP leaders might be dismissive of the Bhim Army, but it does signify a new, aggressive phase in dalit politics in western Uttar Pradesh that is also spreading to Haryana, Delhi and Rajasthan. Western Uttar Pradesh has a history of dalit mobilisation and it was from here that the BSP struck roots in north India in the 1980s. In 1984, Mayawati fought her first Lok Sabha election from Kairana, another communally sensitive town of western UP that made headlines internationally over fears of a Hindu exodus raised by BJP MP Hukum Singh. Saharanpur, close to the Haryana and Uttarakhand borders, is surrounded by fertile farmland that produces grain and fruits. The city, with a mixed population dominated by Muslims and dalits, is also known for wood-carving, cottage industries, basmati, and mangoes. In Chutmalpur, some 30 km from Saharanpur and close to Deoband,everyone knows Chandrashekhar of the Bhim Army, which they say he founded in July 2015 to fight caste oppression. April 20, 2017: A Shobha Yatra was organised by BJP MP Raghav Lakhanpal Sharma to mark Ambedkar Jayanti in Saharanpur district’s Sadak Doodhli village, triggering violence when it passed through a Muslim dominated area. On the same day, Thakurs of Shabbirpur village, some 20 km from Sadak Doodhli, raised objections over an Ambedkar procession that dalits were planning to take out. They insisted that the dalits seek permission for their yatra from authorities. May 5: Thakurs of Shabbirpur and nearby villagers take out a procession to mark Maharana Pratap Jayanti. Dalits ask whether permission had been sought. Angered, the Thakurs set a dalit basti on fire. May 9: Bhim Army announces that it would hold a mahapanchayat at Ravidas Hostel in Saharanpur to protest against arson in Shabbirpur. Bhim Army supporters go on the rampage after permission is denied. Police file an FIR against Bhim Army chief Chandrashekhar Azad and others. May 11: Chandrashekhar flees from Saharanpur. May 15: Video of Chandrashekhar goes viral in which he can be seen asking people to gather at Jantar Mantar in New Delhi. May 21: Bhim Army supporters hold a massive protest at Jantar Mantar. May 23: BSP chief Mayawati travels to Saharanpur where she criticises the BJP for triggering riots and failing to control law and order in the state. By the time she leaves the city, fresh violence erupts, leaving one dead and several injured. May 24: UP government suspends all top officials of Saharanpur. Internet services are suspended. BJP MP Raghav Lakhanpal offers to adopt Shabbirpur village. May 25: Government bans politicians from visiting Saharanpur. May 26: Congress vice president Rahul Gandhi seeks permission to visit Saharanpur. Government denies it. Vinay Ratan Singh, national president of the Bhim Army, says his organisation is a thorn in the side of the Thakurs of the region. “We started door-to-door campaigning to awaken dalits. A few months after the formation of our Army, the Thakurs of Ghirkauli village, some 15 km from Chutmalpur, objected to us organising a function on the birthday of BR Ambedkar. We protested against this, and police intervened to ensure the function could be held. As a mark of victory, the dalits of Ghirkauli put up a board saying ‘The Great Chamar’ on a dalit’s plot. 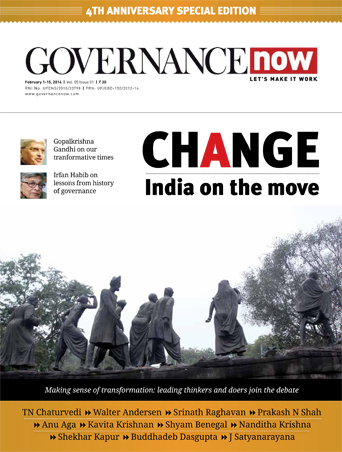 It was the beginning of dalit awareness and upliftment in the region,” he says. Another important symbolic victory was when the Bhim Army received a call that a dalit groom had been forced off his horse by Thakurs during his wedding day procession. This was in December 2016, in Dariapur village. The Bhim Army ensured that he was allowed to complete his wedding the way he wanted; plus, since then there has been no Thakur interference when dalits organise weddings with the groom riding a horse. He says his comrades also organise informal schools where senior dalit students help juniors with their studies to compensate for lack of quality teaching in government schools. Chandrashekhar’s family lives in a one-storey house with four or five rooms. It’s in a lane where dalits live. They own some 25 bighas of land, and are farmers, though his late father Govardhan Das was a government school teacher. His mother Kamlesh Devi, 65, says she named two of her three sons after revolutionaries of the Indian freedom struggle. Chandrashekhar’s elder brother is called Bhagat Singh. He chose to take care of the family land. The third brother, the youngest, is called Kamal. He’s married and is preparing for the civil services exams. The three daughters are married and settled. Speaking of Chandrashekhar, Kamlesh Devi says, “My son is a gem, he helps everyone. I’m as proud of him as (the revolutionary) Chandrashekhar Azad’s mother was of him.” In Chandrashekhar’s room on the ground floor, there are five pictures: Sant Ravidas, Valmiki, Jyotiba Phule, Ambedkar and Kanshi Ram. There’s also an image of Buddha. There was a big speaker and some books. Family members allege that someone had stolen his laptop a few days back, when a crowd gathered there, along with the media, after the violence. Vinay Ratan speaks of how the Bhim Army has used YouTube, Facebook, WhatsApp and social media to raise awareness and fight discrimination. Their videos, he says, have obtained thousands of ‘likes’. Talk turns to how the Thakurs got the upper hand in Shabbirpur on May 5. Questioned if they had taken permission for the procession on the occasion of Maharana Pratap Jayanti, the Thakurs had set upon the dalits and set their homes on fire. “As the Thakurs outnumbered us, they thrashed dalits living in one corner of the village and set their houses on fire. No one stopped them. 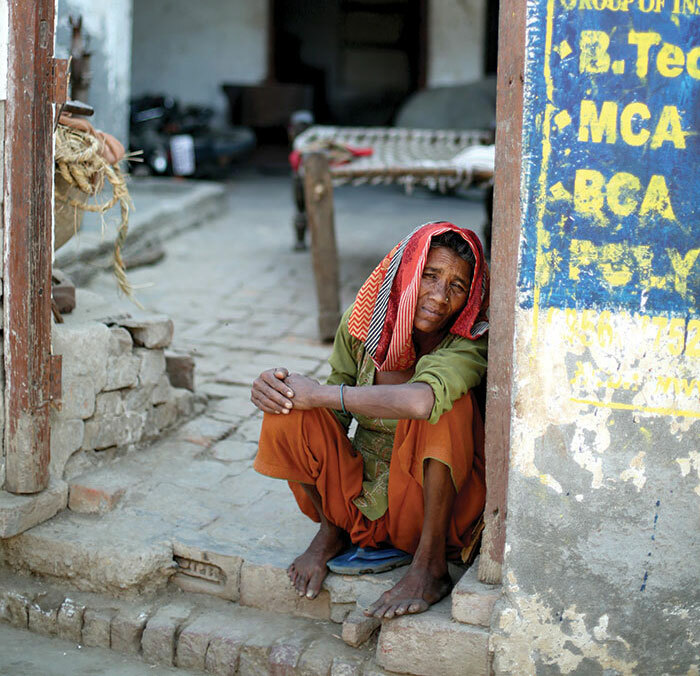 And we lost all that we had,” says Sunny, 20, who lost his house. The Thakurs of Shabbirpur have another story. Amar Pal Singh, whose nephew was arrested, says the arson was planned by the dalits themselves, and one person (a Thakur) was killed. He says the pradhan of the village is a dalit, so they were unable to do anything when their children were wrongly arrested for the violence. Shabbirpur is now divided into two sections, a Thakur basti and a dalit basti. The two communities refrain from crossing into each other’s areas. The Thakurs claim that, be it the authorities or the media, no one listens to them, while the dalits claim that the Thakurs are being let off because the chief minister belongs to their community. 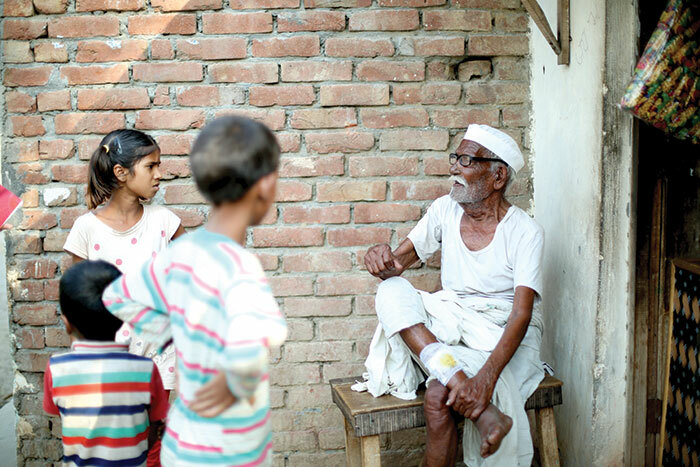 Mohammad Husnain, a former pradhan of Sadak Doodhli village, gives another story from his village. He says, “On April 20, the BJP had taken out a march in my village. They claimed it was organised to celebrate Ambedkar’s birth anniversary, almost a week after his birthday. The march, which did not have the permission of the police, led to clashes between BJP men and villagers, especially Muslims. In anger, BJP MP Raghav Lakhanpal, who had led the march, attacked the house of then senior superintendent of police Saharanpur, Luv Kumar. The police initially ordered a FIR against Lakhan Pal and over 500 others for the violence, vandalism, and attack on the house of the SSP. However, order was restored only after the city of Saharanpur was turned into a fortress.” He says that if the BJP was so pro-dalit, why didn’t they act when statues of Ambedkar were desecrated twice: in Saharanpur on April 5, and in Talheri Khurd village (Deoband tehsil) on April 19. Whatever really happened, for now, there is a dalit resurgence in the region now, and its most prominent new face is Chandrashekhar Azad. At the Jantar Mantar protest, a blue turban is offered to Chandrashekhar, which he promptly puts on the head of an elderly dalit man sharing the stage with him and says, “These Sanghis, these low people are scared of Buddhism. If we don’t get justice, we will convert.” He explains that May 21 is significant because, on this day, in 1851, Colombia ended slavery. “We are not lowly, we are not untouchables...hum sab ke baap hain.” Lapping up his every word, the crowd eggs him to keep speaking even when he stops to take a breath. Clearly, everyone is impressed. “Who is Mayawati? When is she seen? She doesn’t step out of AC rooms, so how will she do us any good?” asks Alok Kumar, who had come all the way from Gwalior. “For us it’s only Chandrashekhar bhaiya. 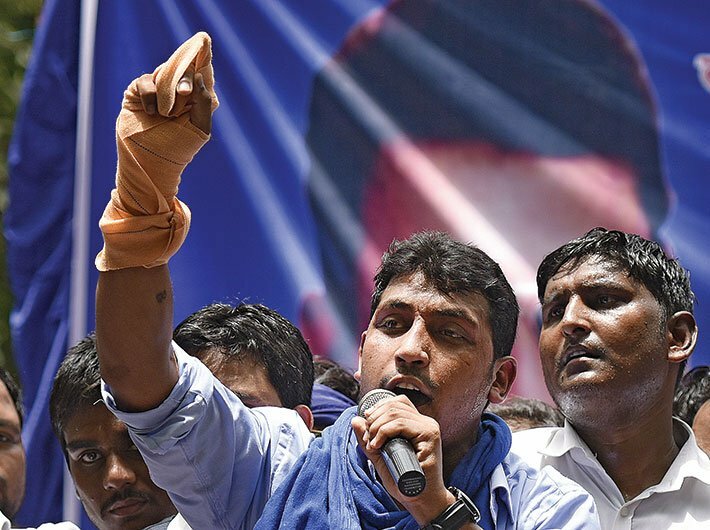 We will do anything for him.” There are many in the crowd who are unhappy with Mayawati, the BSP chief, and many in the audience believe Chandrashekhar would change the destiny of dalits in Uttar Pradesh and elsewhere. Assuring people that he would return in a while, Chandrashekhar leaves at 2 pm but never returns. But for close to five hours, the protests continue, jamming Metro stations and highways connecting Delhi to neighbouring states. The impact is discernable: several BJP leaders strongly criticise the Bhim Army. The BSP chief visits Shabbirpur village on May 23, almost 17 days after the dalit houses were burnt. But this only escalates the tension there: one more dalit is killed and scores injured on that day. Then Rahul Gandhi of the Congress visits on May 27 to take stock of the situation despite police trying to prevent his entry. Meanwhile, like the legendary revolutionary, this Chandrashekhar Azad remains a shadow for the police.